It was December when I got the phone call nobody wants to receive. Especially while Christmas tree shopping. After the usual awkward banter my dad and I always share, he let me know that my mom was losing her battle to cancer. In true like-father-like-daughter fashion, I attempted to mask my pain by nonchalantly explaining to my friends that I needed to visit my mom before she died — then quickly mentioning how ridiculously expensive Christmas trees are in Santa Barbara. I think I almost pulled off the conversation diversion. I don’t particularly enjoy emotions. My mom was diagnosed with stage four pancreatic cancer in September of 2015. I remember the phone call with my mom so well. I was standing in my tiny backyard while my husband was burning dinner in the kitchen. I felt so lost and confused. I wanted to fix this — I spent countless hours researching the disease and every possible cure, but there was nothing I could do. There was no silver lining. This was awful. At this point, I had been working at a tech startup for about a year and a half. It was my first “real” job after college — a far cry from my previous jobs as a part-time mattress saleswoman, a barista, and a freelance law clerk. This job had everything you expect from startups: free snacks, ping pong tables, a keg in the office pub, and demanding work hours. It was far from my dream job, but I enjoyed how happy it made my mom. She was so proud the day I called her to tell her I had been hired full time. To this day, I am the only person in my family to attend and graduate from a university, and have a salaried career. 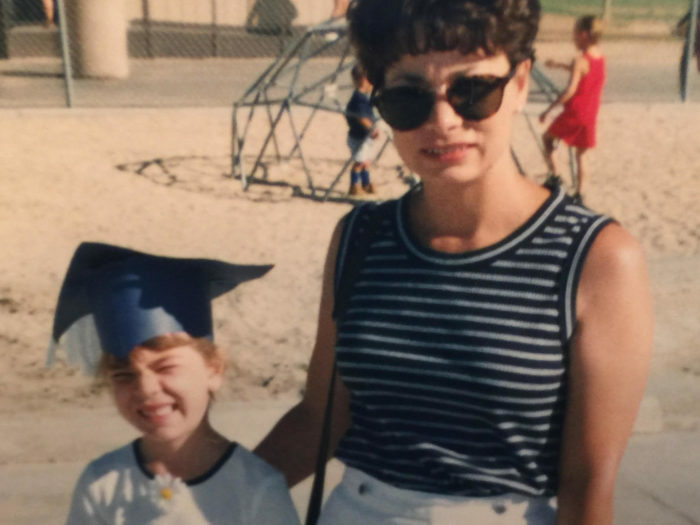 I spent three days with my mom after she was diagnosed, and I felt guilty for missing work. So, when my mom began chemotherapy, I threw myself into my work. My mom was going through so many changes both mentally and physically — I felt that I had to be a source of consistency in her life. I wanted her to know that I was okay, and make sure she felt like her work as a mother paid off. Months passed. I visited my mom for the weekend at least once a month, I called at least once a week, and I usually texted every day. Few people at my company had any idea that my mom was sick. I wanted to keep my personal life separate from my work. I didn’t want to give any reason for someone to think my productivity was slipping. The startup where I worked had a pretty competitive culture — everyone was striving to do their best work. I felt like I had to be constantly proving myself, proving my worth. Going above and beyond was the norm. I was focused on succeeding at work, and making my life feel as normal as possible. At times, I could almost trick myself into believing everything was okay. I wasn’t missing work, I was taking on new projects, making all of my deadlines, growing my list of responsibilities. 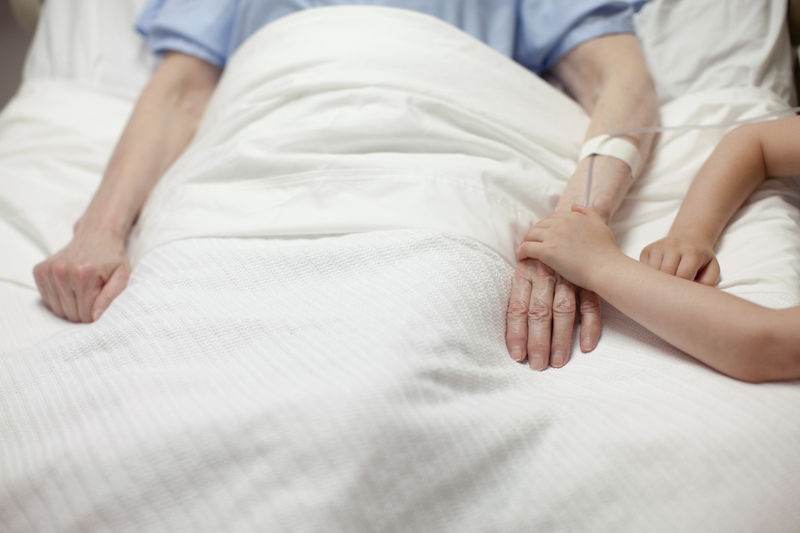 I didn’t have to think about my mom’s illness during work. I was staying connected with my mom thanks to the magic of smartphones. I thought I was nailing this balancing act. Things took a turn for the worst in September. I was about to attend a conference across the country the same week my mom was having a serious surgery. I was stressed out from work, and my mom was scared about her upcoming surgery. I was always pretty close to my mom, but the week before my trip and her surgery, we got into a huge argument. I had become so focused on pretending everything was normal that I was slowly shutting my mom out of my life. Work was becoming more and more stressful, and I was holding that stress in to keep up my performance. In my mind, I was doing everything to make my mom proud. But the reality was, I was using work as an excuse to not deal with the reality of my mom’s illness. I didn’t learn this lesson until it was too late. After the phone call with my dad at the Christmas tree lot, I went down to my mom’s house, and she had already passed the point of no return. There was no more recognition in her eyes. She was no longer eating or drinking. She was unable to speak. All the conversations and questions I wanted to have with my mother were never going to happen. My mom died on a Thursday. I returned to work the very next Wednesday. I didn’t know what else to do. The obvious lesson I learned was no job is more important than time with loved ones. No amount of success or money will make up for the time I missed with my mom when she was sick. All I want in life is to share my success with my mom. Now it feels like any accomplishments I do experience will be bittersweet. I don’t think I would have realized any of this if I wasn’t laid off from my job a month and two days after I watched my mom die. It was a harsh wake up call, but one I definitely needed. I probably would have continued to work myself to the point of complete burnout. And I know that’s not what my mom wanted for my life. I know my mom is proud of me, and every day I wish she was still here. So, I will continue to work hard for her and for myself.